You are here: Home / Do you raise chickens so you know your eggs come from happy hens that are actually allowed to feel the sun on their feathers? Do you raise chickens so you know your eggs come from happy hens that are actually allowed to feel the sun on their feathers? Is it important to you that your flock is raised naturally so you know their eggs are healthy? That’s why I raise hens, too, and that’s why I wrote Chickens: Naturally Raising A Sustainable Flock. Chock full of tried-and-true (yet research-backed) advice to raise backyard hens in a healthy and sustainable environment, Chickens: Naturally Raising A Sustainable Flock is a 150 page e-book that will help you raise your birds so they’re as happy as they can be. As a chicken owner, I once struggled with all the questions that come with owning a backyard flock. As I searched for answers, I noticed something. There’s a lot of information out there—and most of it’s questionable and conflicting. Well, I spent hours (years, really) reading as many studies I could find, soaking up the knowledge in industry articles, and picking through all the advice out there to figure out what was right, and what was junk science. I learned what works for healthy hens—and what I definitely wanted to avoid. With Chickens: Naturally Raising A Sustainable Flock, my goal is to help you feel confident that you have all the knowledge you need to raise your hens. It’s the book I wish I had when I first started raising chickens. You no longer have to wonder whether your flock is getting everything you need—because the answers are right in front of you. 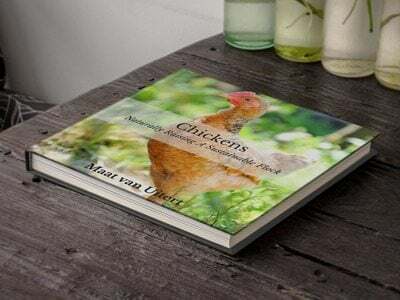 In Chickens: Naturally Raising A Sustainable Flock, you’ll discover how to raise your chickens in a healthy and sustainable environment to give them their best lives possible—and lay their healthiest eggs possible. You’ll also get a ton of recipes for everything from homemade organic layer feeds that you can customize for your own flock to natural remedies for every day problems like cuts and scrapes. These are the same recipes I use with my personal flock daily. 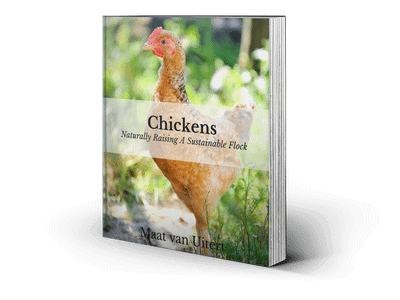 Chickens: Naturally Raising A Sustainable Flock is a book I’m proud to write, and one that should be on your bookshelf. Grab your PDF copy today for just $10!